We understand the expense incurred to fix pumps, belt presses and other equipment that is easily damaged by solids. Parts, labor, overhead and plant downtime all add up, not to mention hours of aggravation. That's why numerous industries throughout the world use Muffin Monster grinders to protect their valuable equipment and eliminate the need for constant monitoring to keep equipment operating. 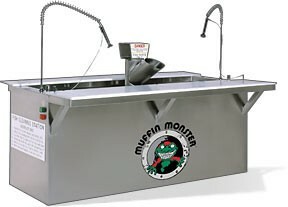 The Monster Fish Cleaning Station is the most efficient fish cleaning station available. It turns fish waste into small particles - easily flushed away. The self-contained unit uses a powerful Muffin Monster® dual shafted grinder to shred solids, such as fish parts, cans, plates, utensils and fishing lures. 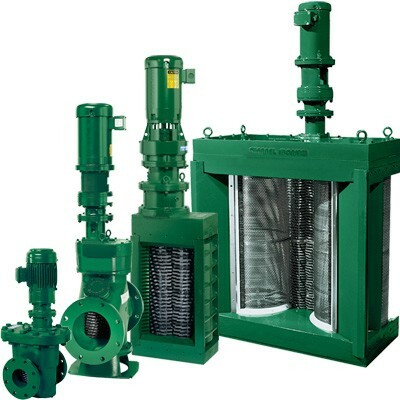 This prevents clogging and protects downstream equipment. SE VIDEO PÅ YOUTUBE HER!